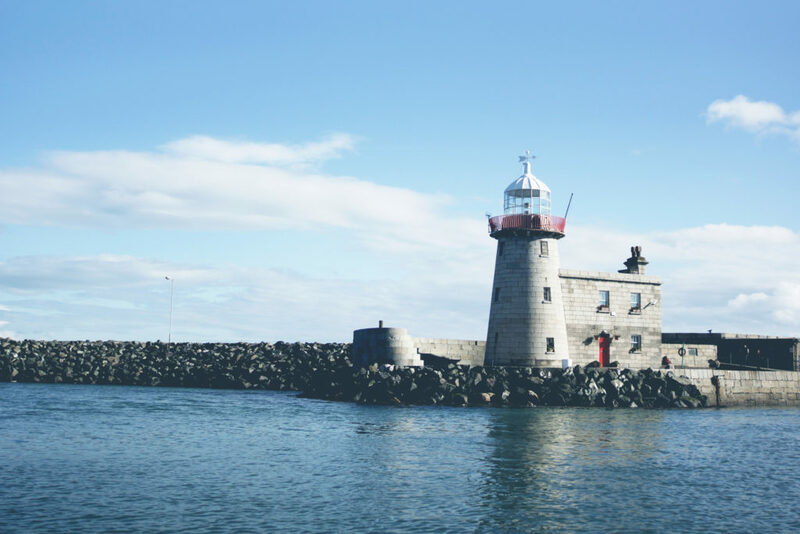 Howth – rich with natural beauty, steeped in maritime history, home to the always excellent Dublin Bay Prawn Festival and of course full of the most delicious seafood restaurants – where better for a weekend visit? 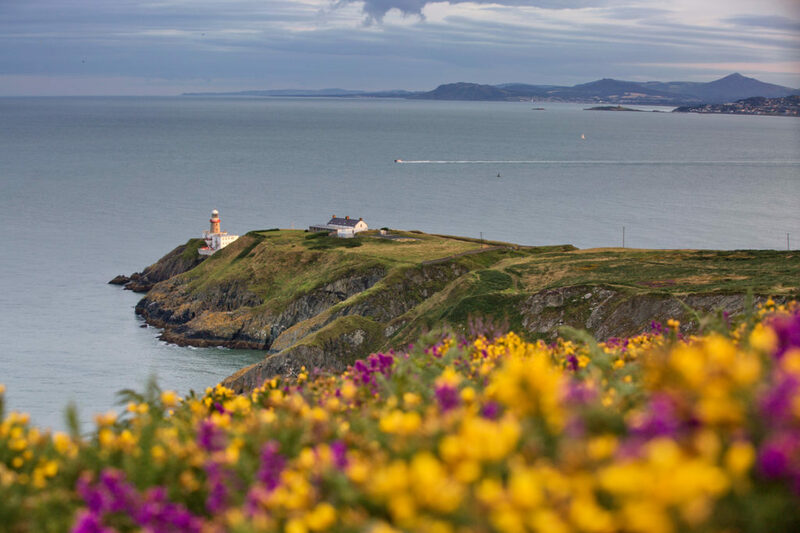 Just a short hop away from Dublin’s bustling city centre, Howth is like a breath of fresh air. And the best way to explore its wonders, from its scenic harbour to its world-famous cliffs, is on foot. But to uncover all its secrets, a knowledgeable guide is well advised and we have just the man! 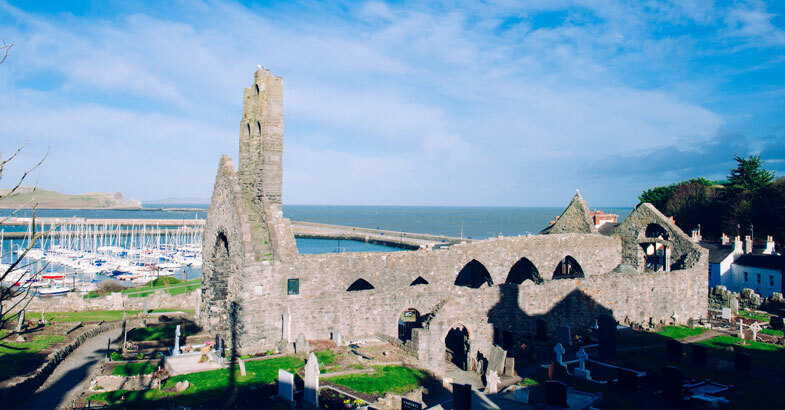 Shane of Shane’s Howth Hikes offers a number of walks and hikes exploring 5000 years of history in Howth and we caught up with the man himself for a chat to find out more. Hi Shane, thanks for chatting with Coast Monkey! You take people for hikes all around Howth – that’s not a bad way to spend your time? It’s even better than I expected. I always loved walking, patrolling and exploring Howth by land and sea and but I am additionally surprised by the warmth, humour and “ buzz” that each unique group creates within itself. I always envied people who worked with their doggie, whether farmers or truckers, and now Bruno is my partner. I travelled for a lot of my working life, and it slowly dawned on me that Howth had something at least as special as anything that enchanted or impressed me anywhere else. My Grandpa came down from Derry in the War for Independence and settled in Howth when the war was won and he became official army. Tell us a bit about the hikes, are they suitable for all ages and fitness levels? The Howth Safari is an adventure and will slowly tire anyone. You need to be fairly agile and ready for 16km off-road on varying terrain. Depending on the group it can be faster or slower and more or less challenging. A capable adult will do grand, though they might be ready to put their feet up at the end, and will sleep well that night. I have found that children under 13 can struggle with a consistent pace for four plus hours and can end up miserable so I discourage that. They can do fine in private groups, where we can let them set the pace and distance. That works well with families and family gatherings where you can throw in a picnic ! The Village Heritage walk is fine for everybody, and we will be scheduling walks for The Literary Festival in June and doing some interior Howth Castle Tours over the summer with Howth Castle. 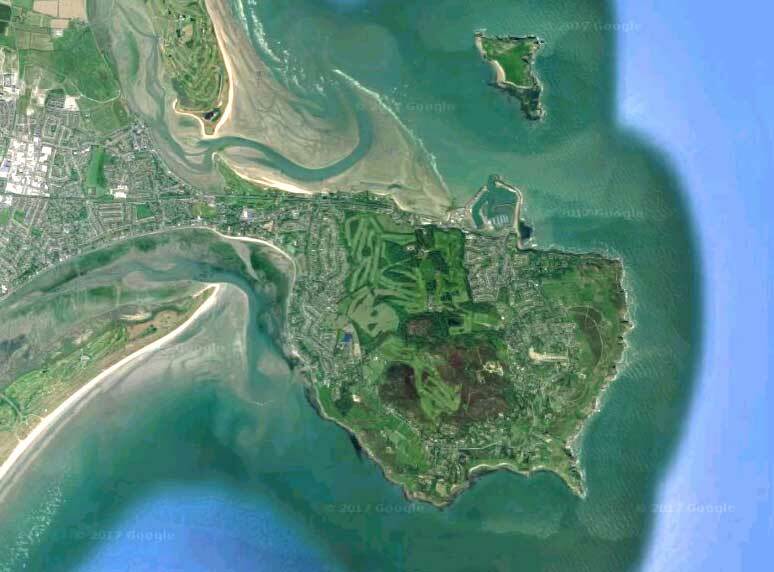 Do you think you’ve uncovered all there is to know about Howth? I am discovering new pieces of the puzzle all the time. On the ground, in the books, or most delightfully when some of the older, longer resident family members tell me their own stories going back hundreds of years. It feels like a very precious gift when someone tells you what a particular area, landmark, or feature meant to their grandparents 150 years ago. We live in the archaeology of a more ancient Howth that is still on the surface if you know where to look. I love looking at the old pictures and working out where and what exactly the same frame looks like now. So what is it that makes Howth so special? Howth is truly ancient with an astonishing range of different habitats and microclimates, Tir na nOg. Geologically it is older than most of Ireland with a human history going back 4500 years. 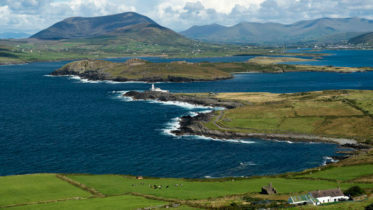 It was the most important port in Ireland from the Tuatha De Danaan in prehistory until about 1820. The name itself is a badge of relatively recent invasion by The Vikings and the pages of European history have all turned here. The Tuatha de Danann, The Fianna, The Ireland of Saints and Scholars, The Vikings, The Normans, The Napoleonic Wars and The British Empire, The Rising and the War for Independence were all writ large locally and you can see and feel those times still. There is so much more than the harbour and the village, though they count for quite a lot in their own right. If someone is heading out to Howth for the day, what’s the hidden gem that can’t afford to miss? A very hard call, and it depends on the weather and tide on the day as well as the time of year. I find a good reason to love most days and most Seasons but I have to say that Spring is most intoxicating, when the wild garlic is in the woods, the rhododendrons are blooming psychedelic and the bright yellow gorse is filling the air with the smell of coconut. There is also fine grub and grog, left right and centre should the weather turn ugly, or you simply fancy a great night out. I understand you were are a founding member of the Howth Coast Guard, how did that come about? Simply, I went to a meeting after seeing a poster in a shop. Slowly but surely we put together a team, followed by a very fine station, excellently equipped, and partnering quite well with the RNLI. I would recommend the Coastguard or the RNLI to any adult who feels like they like the outdoors and could make themselves useful. The training is for life and invaluable. From your experience, what in your opinion is the best way to protect the coastline and the environment around Howth? I like it wild and clean. Leave nothing that you brought behind you and maybe pick up one piece of waste to take out leaving it better than you found it. We get a lot of litter, and I wince to see discarded coffee-cups and lucozade bottles and plastic bags. Don’t go blaming bins, they are a litter in their own right and just pass the buck. Get the hang of leaving no sign, taking responsibility for your own journey. I think Fingal are on top of a long-term sustainable plan for the natural environment and I would welcome strengthening of the SAAO and Biosphere. If people want to get in touch for a hike, what the best way to get in contact? The best way to figure out what you might like is at www.shaneshowthhikes.com You can also pick dates and book the scheduled hikes. My Facebook page is a good way to get a sense of what I am doing. Tripadvisor is a good reference too. Thanks! Thanks again to Shane for talking to us. If you’re looking for an adventure be sure to check out his website and book a hike next time you visit Howth.